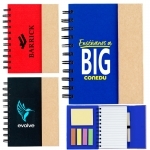 Class notes, doodles, poems and impromptu thoughts, capture all these with personalized notebooks. 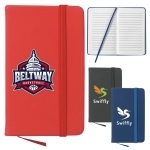 Believe us, your young customers will love them. 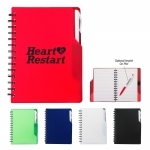 These spiral bound notebooks are manageable within the pockets, backpacks, bags and purses so that your young customers can jot anything they want. 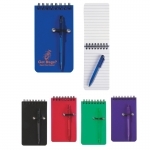 Ideal for promoting all types of businesses, most marketers can order in bulk these logo printed notepads and avail its lowest prices. 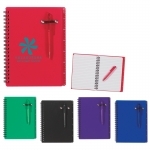 Pass out logo printed notebooks to kids during school events, summer camps, promotional events, trade shows or any other events. 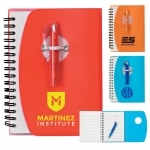 We are sure most kids will keep these pocket-friendly notebooks for long and they will be reminded of your brand logo and purpose every time they use it. 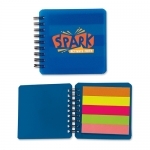 Shop today at Promo4kids.com to avail the benefits of lowest prices, fast shipping and fast production times! 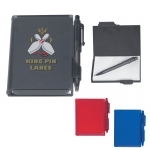 Enjoy 100% customer satisfaction guarantee and 110% lowest price match guarantee! 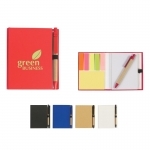 Custom printed notebooks make most sensible business gift on most occasions. 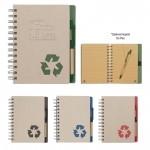 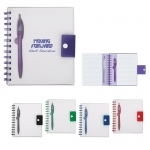 As a promotional gift, these notebooks are affordable, purposeful and offer large imprint area for your brand logo. 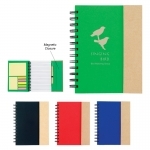 Notebooks are cool standout from traditional flyers and other lightweight promotional items that are offered during mass gatherings. 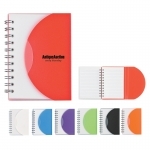 The compact size of these customized notebooks makes them ideal to gift during trade shows, school events and individual celebrations. 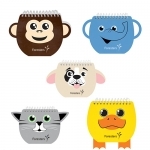 These promotional notebooks will allow your young customers to capture their thoughts, note down their lists of do's and don'ts at home or school and write some quick tips offered by teachers and friends and many more. 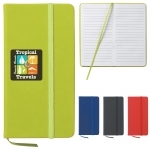 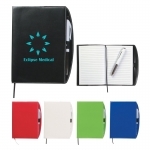 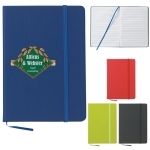 Some logo notebooks are offered with extras such as pen loops, ID windows and sticky notes or flags. 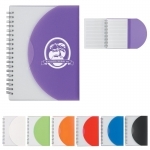 These sticky notes and flags are helpful for kids during their assignments and projects. 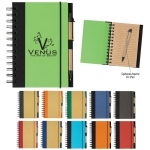 There are array of styles, designs and colors to choose from. 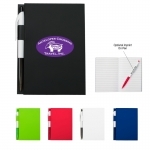 It doesn't matter whether you are looking for custom spiral bound journals, eco-friendly cover journals with pens or memo notebooks with sticky notes and pen, Promo4kids.com has the right collection of promotional notebooks to meet your promotional needs. 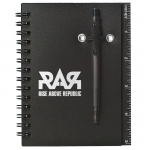 Make sure you pair these notebooks with custom pens and pencils or other personalized stationery sets for better exposure. 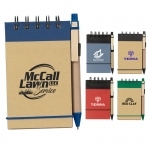 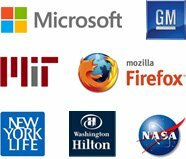 It is very important to team up a trusted supplier if you expect regularity and reliability in your campaign. 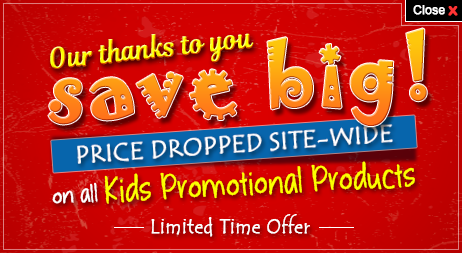 This is where Promo4kids.com can keep you company and serve you above expectations. 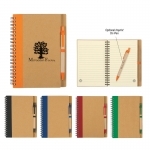 If you are having difficulties in following our order process, click here. 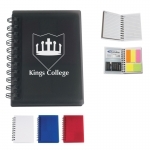 Our team of graphic experts will help you to find the right kind of notebook for your target audience, imprint option for your brand logo and special price benefits for bulk orders and more. 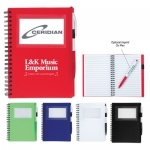 Call us at 855-454-3786 or you can write to us at info@promo4kids.com.